I really envy the cool and spacious airports they have at 1st world countries. They have so many stuff to show us just to make us feel bad about our sucky airports here. 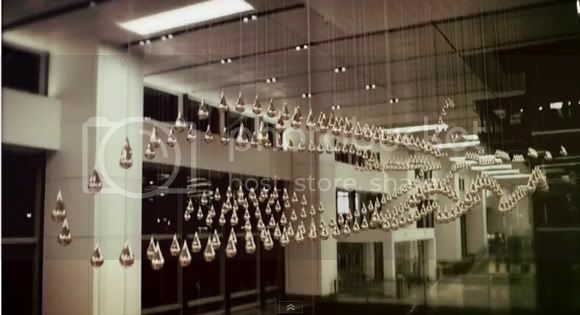 Like this Kinetic Rain Sculpture that's hanging around Changi Airport Terminal 1 in Singapore. I'm sure this will entertain me for a couple of minutes when I land for my visit to this year's STGCC. Really disappointing that the only thing we have to show for at our airports here on our side of the world are the push carts.